The Club has a variety of timbers for sale which includes some Tasmanian and local timber (many of the local timbers are harvested by our members from local sources). Here are some pictures of the Club's volunteers, led by the indefatigable Bill Wright, collecting a Peppercorn tree from New Lambton Heights. Thanks to all who helped. 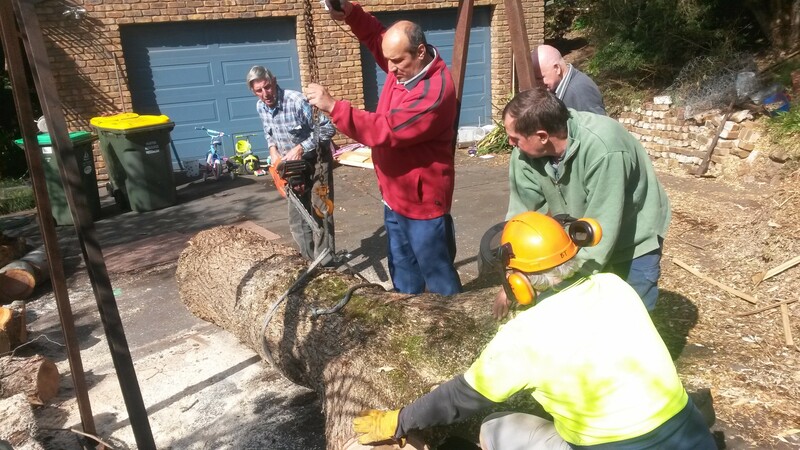 These volunters managed to get 3 Silky oak logs plus this one all in one morning which will add significantly to the Clubs stock of milling logs.